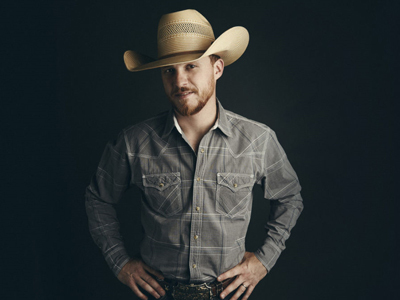 Cody Johnson will know exactly where the exits are when he returns to Nashville’s 3rd & Lindsley music venue on Thursday (Oct. 6). And it’s not because he’s played there before. His previous job as a prison guard in Huntsville, Texas — the prison capital of the Lone Star State — has made him hypersensitive of his surroundings, and he notices the tiny details of every room he enters well before others. Johnson was 18 and right out of high school when he first took the job at one of the five local penitentiaries. He said each one is designated with its own type of inmate. At his concerts, he’ll occasionally see the familiar faces of former prisoners. But is it odd to have convicts as fans? “I don’t think so at all,” he said, “I think we’re all about two or three bad decisions away from prison. If I would have been caught for half the things I’ve done in my life, I’d be there right now probably. But there’s a lot of good people in prison. It doesn’t take much to go these days. Johnson’s latest album Gotta Be Me is available now. His 2016 tour continues this weekend with stops in Fayetteville, Arkansas, on Friday (Oct. 7) and the State Fair of Texas in Dallas on Saturday.